Today we welcome Aimee for an interview! I wanted to be a writer since I COULD write—probably around age five or six. It gave me this sense of wonder and satisfaction and confidence that almost nothing else in life did. I scribbled stories and novels into notebooks and journals all through my childhood and teen years. When I was in college, I realized I also wanted to work in publishing as an editor; I loved the idea of being involved with the creation of books on every level. And I’m so fortunate to be both an editor and a writer today. It really depends, book to book. On average I’d say about one year from first draft to final. TWO SUMMERS, however, took much longer, I think because of the structure—it’s essentially two full books in one. I had to do several different outlines and scrap a few different drafts (originally, I had the character working at a summer camp, then a bookstore, which both got thrown out for the final draft!). It took me a little more than three years overall (and a lot of self-doubt, anxiety, and chocolate). There were moments when I really thought I might throw in the towel, but with the support of my editor, agent, friends, and beta readers, I’m very thankful to say I kept going. I have this theory that all writers have “obsessions” that show up organically in their novels as similar themes. I tend to write a lot about secrets and discovery, which are topics that fascinate me and that I have fun exploring through fiction. I try my best to weave the themes in a natural way through the plot so that one complements the other. I work full-time as a book editor, so I typically squeeze in my writing on the weekends and on certain evenings, when I have the energy (but really all I have the brain power for on most weeknights is a Netflix binge). Sunday tends to be the most productive writing day for me; knowing I have limited time to work usually forces me to be more productive than I might be otherwise. Conflict—every great story needs conflict. The main character should want something or expect something that he or she cannot get or achieve. And this character, and all the characters in the story, need to feel compelling and authentic enough so that the reader will want to follow them on this quest. Also, this doesn’t necessarily work for EVERY story, but I’m a big believer that it never hurts to throw a little romance into the mix! Writer’s block. That horrible feeling of being stuck, of hitting a wall, of knowing what you want to say but not being able to make the words obey you. In those moments, I generally know it’s time for me to take a little breather, to step back and go for a walk, or see a movie, or talk to a friend. Usually, after some distance, I can come back to the manuscript fresher and tackle the problem anew. But sometimes that process takes days or weeks or months. Two Summers is my eighth YA novel! (I’ve also written two books for younger readers under the name Ruth Ames). In many ways, my favorite book will always be my very first published novel, South Beach, because writing it and seeing it on shelves was such a special, never-to-be-repeated kind of thrill. 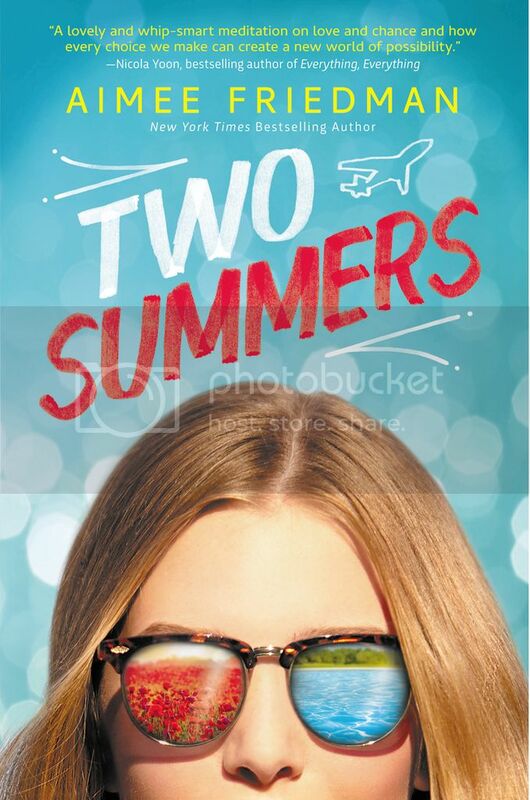 But usually my favorite book is also whatever is the newest one to come out, so in this case—Two Summers! In Two Summers, my favorite character might be Eloise; I LOVE the juiciness that comes with writing villains…even though Eloise turns out to be not exactly as she seems (I don’t want to say much more for fear of spoilers…). I also love Miranda, the main character in my book Sea Change; she’s very rational and logical, which is the opposite of how I am (I tend to be more emotional and dramatic) so it was fun to explore that side. Also, on a super-exciting note—Sea Change is being adapted into a two-hour TV pilot for Lifetime, so soon I will get to SEE the character of Miranda come to life. Which is insane! I can’t wait. If I’m lucky, I’m able to write at home, at my desk, but that’s a rarity, because I get too easily distracted by my fridge, my TV, my comfy bed. So, if I’m wise, I plop myself down at a café, put in my earbuds, and tap away at my laptop for hours while drinking huge quantities of iced coffee. I also really love writing on long train rides. 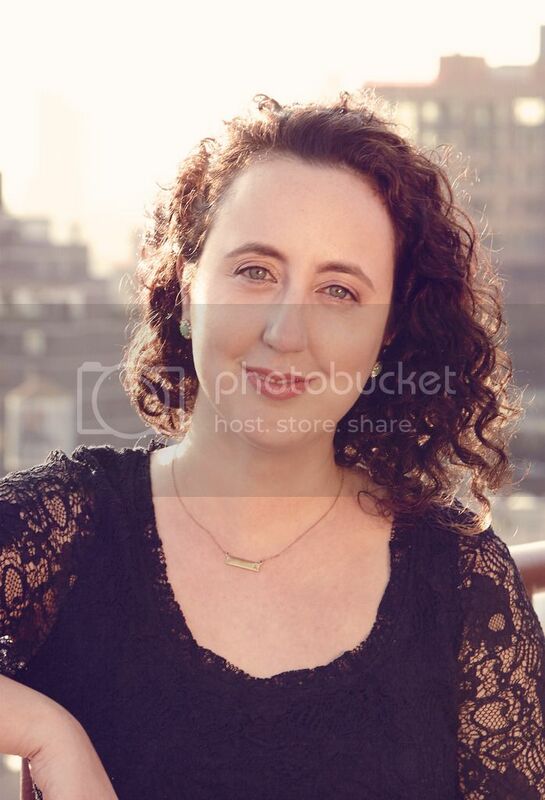 I’m fortunate in that I owe my start as a YA writer to the fact that I worked in publishing at the time; an editor I knew gave me the opportunity to write my first book for her, which is a very atypical path for most writers. This is not to say, though, that there haven’t been MANY, many bumps on the road, as there always are, in all forms of publication and publishing. I always say that writers are naturally thin-skinned people who need to develop thick skins to deal with the ups and downs of publishing. My family members are huge champions of my books and my writing, and for that I am very grateful. Even my dad has read and enjoyed my books, and he’s not exactly the target audience, so that means a lot! Read! Read widely and broadly, learn from the books you love AND the books you don’t love. And if there’s something you can’t stop thinking about, something that’s haunting you or compelling you? Write about it. Chances are there’s a story in there, or a kernel of truth that will grow into a story. Well, this is a nearly impossible question to answer because I have so many favorites, and they’re changing all the time (I usually say my favorite book is Jane Eyre, and my favorite author might be Toni Morrison). But I would like to single out The Baby-Sitters Club, a series that I ADORED growing up, and that in so many ways inspired me to want to be a writer. I joke that my earliest stories were BSC fan fiction. I knew I wanted to write the same types of books: realistic stories about friendships, families, school, crushes—stories that in their relatability had resonance. Ann M. Martin is life. My big sister, who is an English professor, is a super-smart and helpful reader. She’s totally honest and upfront about what is not working for her, which may be the most helpful aspect of a critique partner. So I know when she says she loves something, she’s not just saying that to appease me. My family is from Eastern Europe, and I’d love to go to Prague for the first time and experience all that beauty and history. Maybe for my next book! Thanks so much for stopping by today, Aimee. It was great having you here! 3 winners will receive a signed finished copy of TWO SUMMERS and TWO SUMMERS travel bags, US Only. This sounds like a very interesting read! And that cover is gorgeous!! I have been wanting to read this since I heard Aimee talk about it at BookCon. I think we all think of the "what ifs" in our life. Looking forward to reading this one and seeing what happens. I have a feeling this summer is going to be the summer of contemporaries that come in every form, and this book fits the bill perfectly! Thanks for the chance to win a book that sounds so awesome!